Keep it cool this summer with our Doli striped t-shirt. 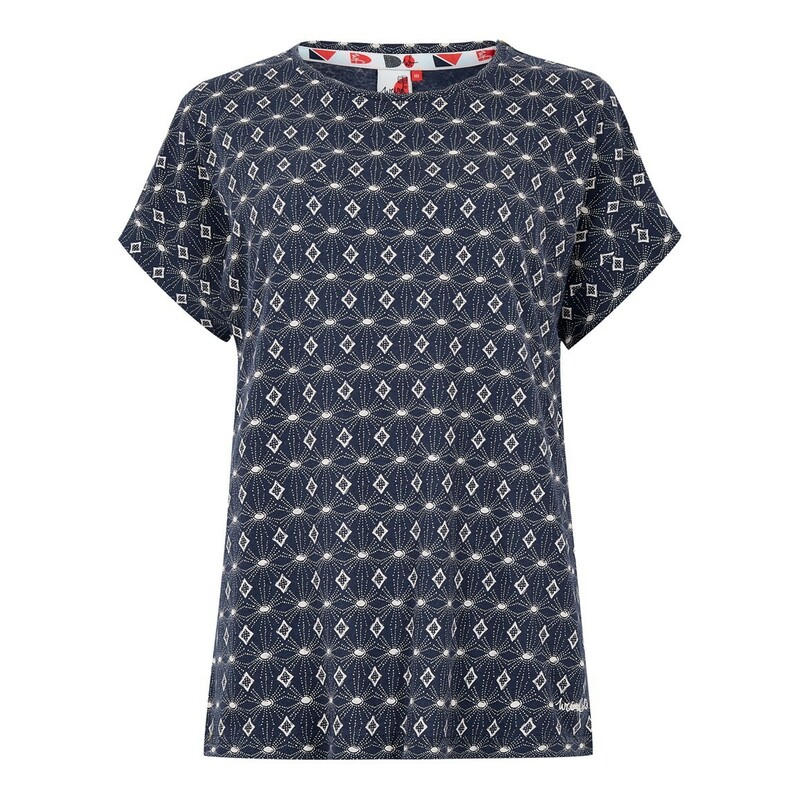 This lightweight and versatile t-shirt has a smooth curved neckline making it ideal for layering, and the multi-coloured stripes are sure to brighten up any outfit. 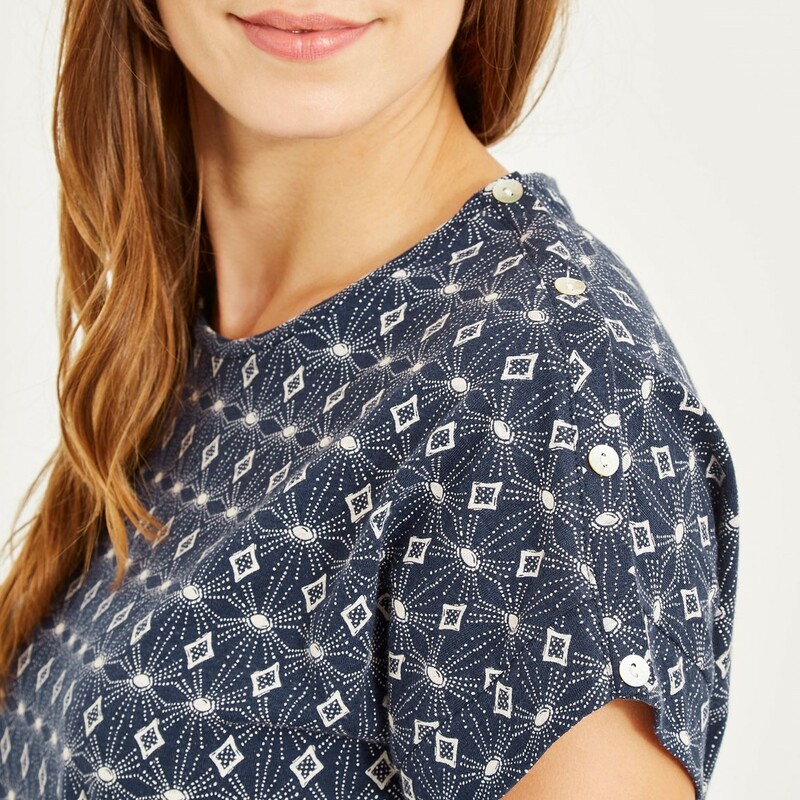 Designed with a dropped shoulder style for a relaxed fit, the Doli t-shirt is incredibly breathable and is a great addition to any outfit. 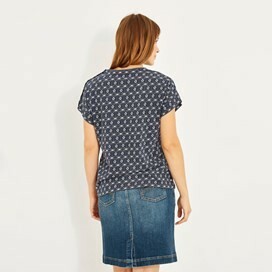 Team with simple denim jeans and you've got yourself a fail-proof weekend look. This is a nice style and lovely loose fit, and a bargain at the sale price. Could we have some more in this style? 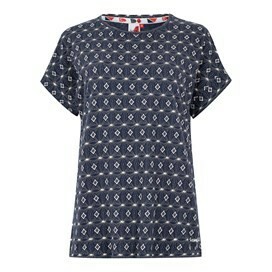 Great T shirt, lovely girly fit and looks great with jeans. Love this top. Feels lovely on. Good fit. Lovely relaxed style. A little bit too big for ne but I prefer loser fit.